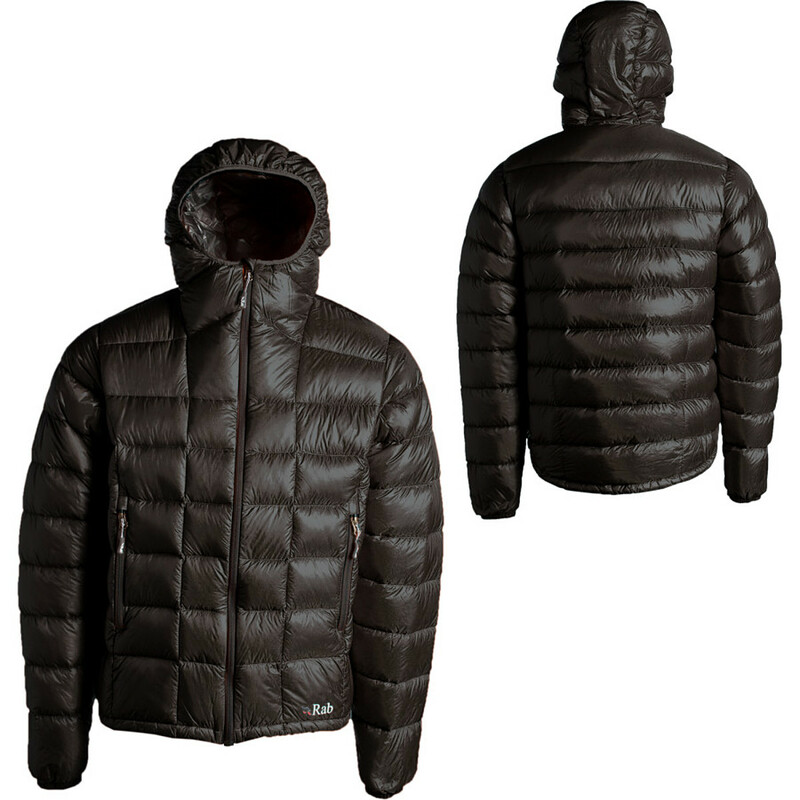 This is a mid-weight down jacket that can handle all but the coldest weather that most people will ever see. It is fairly lightweight for a jacket this warm and very well-made and designed. I particularly like the fit and the hood—someone who spends a lot of time in alpine conditions clearly had a hand in this. 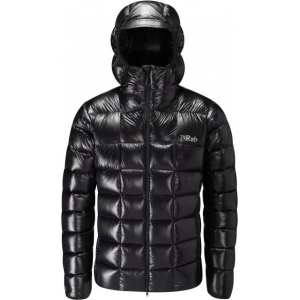 It has been discontinued; look instead at the RAB Infinity-G and the Neutrino Endurance. 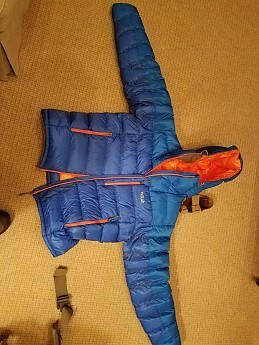 This RAB Infinity Endurance is a men's size XL that weighs 19 ounces on my digital hand scale. It has (roughly) 7.4 ounces of 850 hydrophobic fill power down. The outer shell is a combination of Pertex Endurance (hood and outer arms, slightly heavier nylon for wear and tear) and Pertex GL (the rest of the shell), both of which are treated to shed moisture, very lightweight, and good at blocking wind. It has two zippered hand pockets, one zippered front pocket, and a very small zippered inner pocket. The hem has an elastic you can cinch tight, and the hood adjusts both on either side and from the back. Cuffs are elastic, but not adjustable. Closeup view of the cuff and the heavier fabric—note the very light grid pattern. 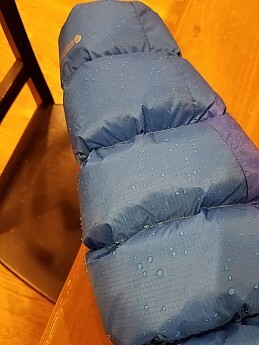 Most down jackets with this much fill don't have an adjustable cuff because the mitts or gloves you need for cold weather have some kind of gauntlet to keep snow out. The hood, zipped all the way up on a very cold evening. Look at the loft! It's hard to see from this photo, but the hood has a wire built into the bill—it won't sag into your line of sight. You can also see the orange elastic pull on around my chin. More on that below. You can see a couple of the zipper pulls here—more on that below too. 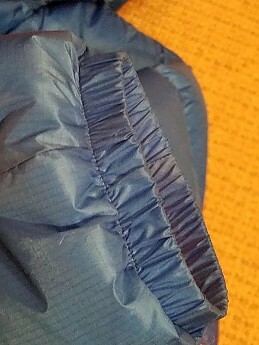 The main zipper has no outside flap to keep wind out, but there is a strip of nylon backing the main zipper, which helps. Another view of the elastic that pulls the hood tight, plus note the gray fuzzy inside that keeps your face and upper neck feeling cozy. The elastic on this jacket does not have any end that shows—nothing to flap in your face in high winds. 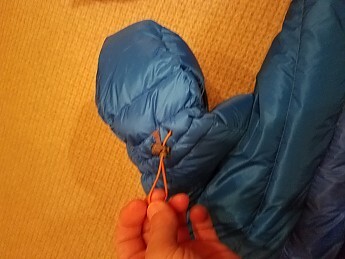 You can tighten these pulls with a gloved finger or thumb, and loosen it by squeezing a toggle. (The inner fabric on this color is as bright as it looks—I bought this on a very deep discount, so I can't complain). Rear view of the hood—like the front pulls, this is pretty easy to tighten with gloves on and helps the hood fit better. Also worth noting how the down is confined to so many sections in this hood, which prevents it from shifting around. 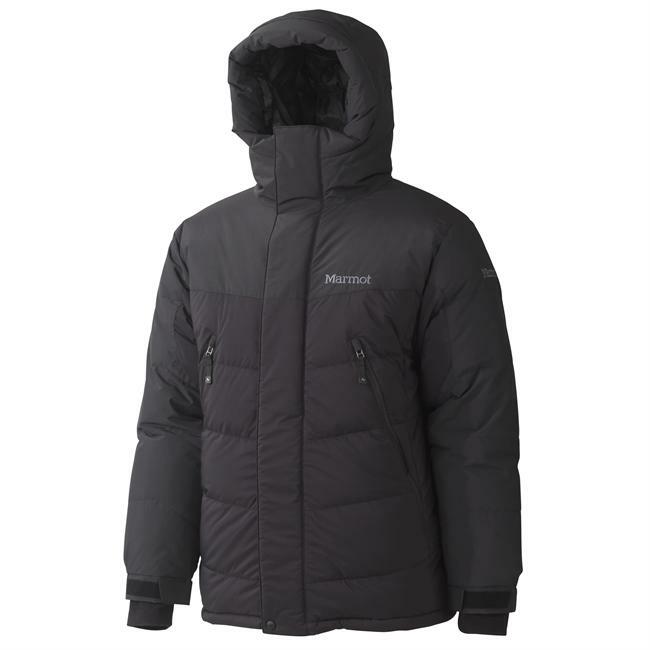 It is an extremely warm hood and more adjustable than many comparable jackets. This is one of the two identical hem adjustments. These are reasonably easy to tighten, not quite so easy to loosen with gloves on. There is a small gray piece of fabric with a snap that keeps the elastic from flapping or snagging. This is the inner zippered pocket. The inner fabric is very lightweight, so it sags if you put anything even moderately heavy in the inner pocket. The hand pockets are large—lots of down on the outside, none on the inside, so your body heat keeps the pocket feeling warm. The zipper pulls are all the same—skinny cord with a rubberized piece on the end. All very easy to use with mitts or gloves. The zippers move easily, and the front zipper almost never snags; the interior and exterior chest pocket zips occasionally snag the extremely light neon orange interior fabric. One of the primary reasons I like this jacket is the fit and sizing. 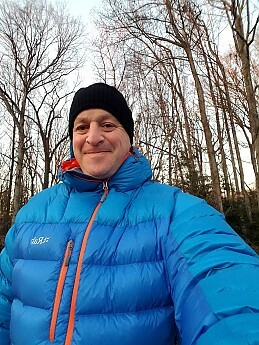 RAB and many European outdoor companies' jackets tend to run small, and I therefore tend to get a size larger than normal. This jacket is sized for wearing over meaningful layers in cold weather, so it runs average to large, with good room to wear a medium-weight fleece and base layer underneath. Sleeve length and girth is good. I note "girth" because I have worn more than one down jacket in this warmth range that have plenty of room in the torso for layering but not enough room in the sleeves. Range of motion is really good, not that I would recommend being super-active in this unless you choose it for hard work in terrible cold, meaning you can raise your arms high, and the hem barely rises. Body length is average to a tad short. I'm 5 foot 9, and the XL hem sits right at my hips. The hood is compatible with helmets. I haven't climbed in it, but I put on my cycling helmet and zipped it all the way up to check. The interior fabric is as shiny as it looks and is extremely light. It slides really well over any layer you might wear underneath; it is mildly prone to snagging on the chest zippers, more so with the interior pocket. In summary, this jacket was made to use in winter conditions with gloves on. A very intelligent design throughout. After more than a year, it has proved to be durable, though I haven't had many opportunities to damage the fabric. The strongest winds I have seen in this jacket were about 35 mph, the temps somewhere between 10 and 20 degrees. As the photos show, the down in this jacket is in a bunch of compartments, all of which are sewn through to the interior. What that means is that some air can leak in through the stitching. I didn't feel cold or air leakage, but I had a wool base layer underneath. The nylon itself is very good at stopping wind. (If you expect truly battering cold and wind, look at jackets that are fully baffled, meaning that the stitching doesn't go through the fabric, and the chambers holding the down have interior strips of fabric (baffles) between the inner and outer shell. 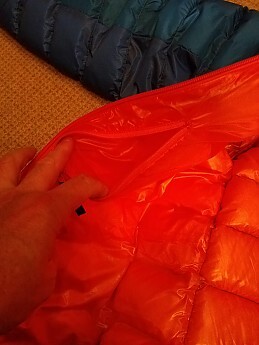 Some manufacturers describe fully baffled jackets as having a box wall construction—RAB's Positron Jacket, for example). I haven't worn this jacket in anything close to the rain-snow line—it's too warm. 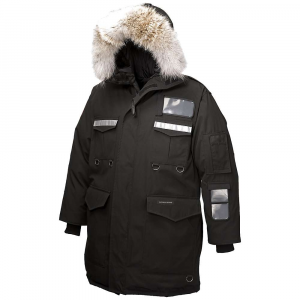 The "Endurance" fabric is treated with a water repellant coating, and it does fine with snowfall. For the heck of it, I ran a sleeve under the kitchen sink to see what moisture would do. It beads up nicely. Like most nylon that is not truly waterproof and has a durable water repellant coating, I would expect the fabric and the down to get wet in a steady rain. It's not a rain shell. On the inside, it's worth notice that the down is treated and hydrophobic. That means it's less likely to collapse from getting infiltrated by moisture. Because I really don't wear this jacket when I'm on the move, I have had few opportunities to test that. 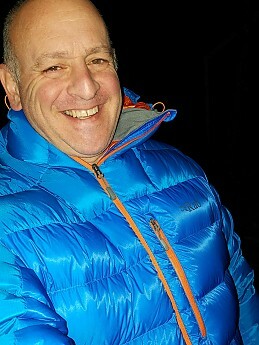 The best I can say is that on the few occasions I pulled this jacket on during a rest stop on a really cold day, whatever perspiration I was generating did not collapse the down fill, but I haven't had that happen with any down jacket in really cold weather. To me, this is the most important function of a jacket like this, and this jacket excels. The down doesn't shift around much, so there are no real cold spots. On a few occasions, I have shaken the sleeves out because the down tends to shift away from your inner arm around the elbow, which is normal for down jackets. To provide some perspective, most lightweight down jackets, down sweaters really, are fine with some layering (a base layer and light fleece is about all you can usually fit under a light down jacket) until you get to the mid to low 20's Fahrenheit. Down sweaters usually have no more than three ounces of down. You can wear this jacket over a base layer with no fleece or mid layer well into the teens or high single digits; with an additional layer, you can be comfortable into modest sub-zero temperatures. That is as cold as I have gone with it. It has enough room inside to wear over a down vest, too, which means you could probably stretch this below -10F if you were so inclined; I normally opt for a fully-baffled and better insulated jacket for persistent sub-zero weather and kind of winds you might see in those conditions, but those warmer jackets ordinarily weigh quite a bit more than this. For a 19 oz jacket, this is extremely warm. 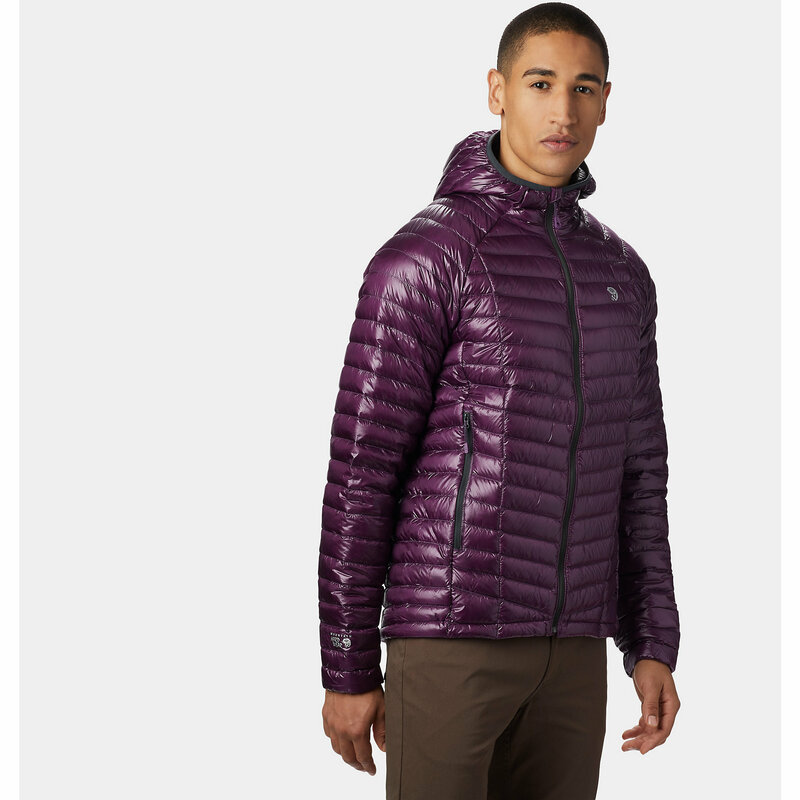 for the sake of comparison, this jacket replaced a Mountain Hardwear Hooded Phantom Jacket, which is a really great jacket too, by the way, but is limited by having less down fill, so the body of the Phantom is less puffy. The Phantom is quite warm but noticeably inferior to this jacket in terms of keeping a person warm. This is kind of important for backpackers, and this jacket does well. To truly shrink it down, use a stuff sack. Well-compressed, it occupies about the same volume as two liter-sized water bottles. It does not stuff into its own pocket, which some jackets in this category do. I have a year and a half of winter experience with this jacket. The coldest weather I have seen is just below zero, with much more experience in single digit temperatures. I have for the most part not worn it in highly windy conditions, but it has seen some gusty weather. It is a jacket I like wearing in a tent or while sitting/standing around, cooking dinner, or taking that unpleasant foray outside at night if I drank too much tea. 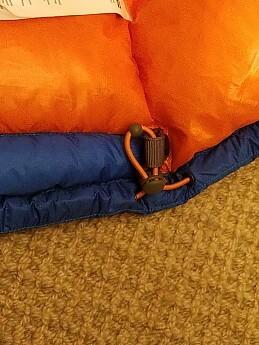 I have pulled it out of my pack a few times to put on during a hiking break when it's quite cold and I don't want to get chilled. 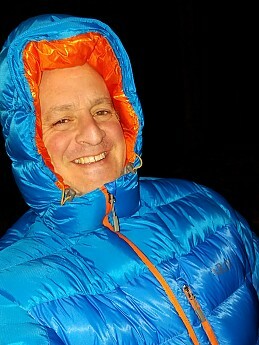 During a recent run of single digit mornings, this was the jacket I wore while the dog tired himself out at a local park—that's about an hour of standing still at 5-8 degrees. This is a very warm down jacket that is highly functional—easy to wear, easy to adjust, thoughtfully designed, and executed—high quality materials and design features throughout. 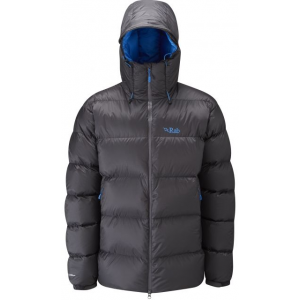 It is very lightweight for a jacket this warm and very easy to pack. If you are a truly hard-edged alpinist, you might choose a jacket like this for almost any conditions; for mere mortals like me, its an excellent choice for all but the worst weather, where I opt for something heavier but warmer. Highly recommended. Note: RAB discontinued this specific model. 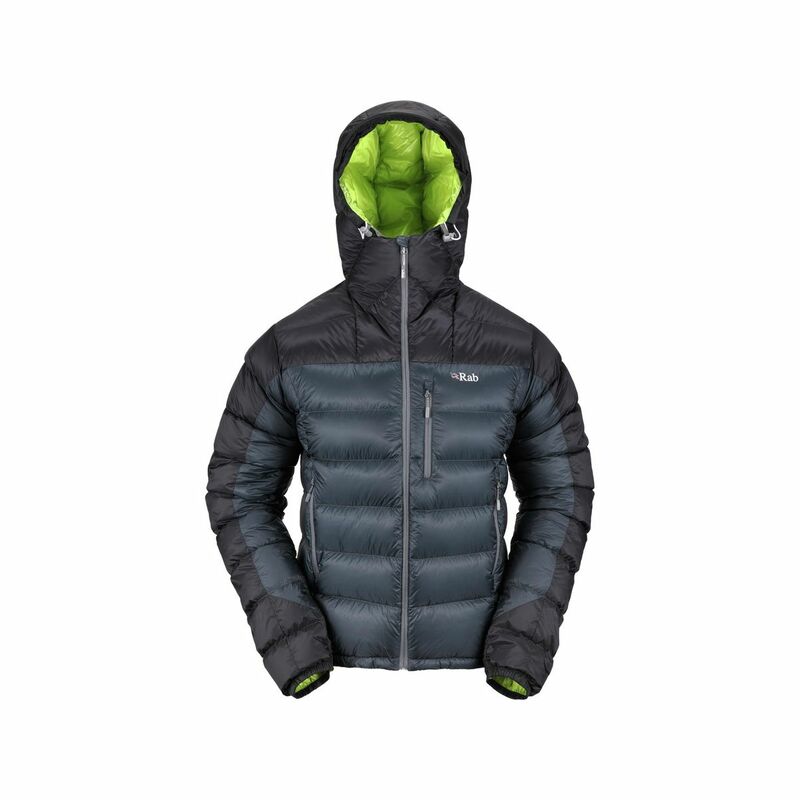 If you want a jacket with this level of insulation that is a few ounces lighter and somewhat shorter on features, the ultimate warmth vs. weight balance, look at RAB's Infinity-G. 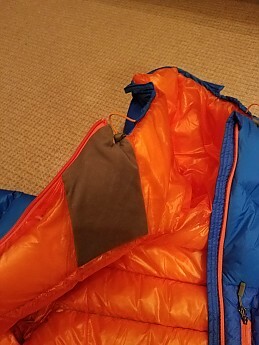 If you like the alpine-oriented features and adjustments and want something that is more along those lines, look at RAB's Neutrino Endurance (which weighs more and has 800 fill power down, but has features more in line with the jacket I reviewed). Nice review! One of these days I'm going to try a medium weight down jacket, and RAB will be a contender for sure. How'd you get it so cheap? Great review, Andrew! Thanks for all of the info and comparisons. Rab makes some great apparel. Nice job. I have a couple of RAB pieces, nothing with down, but in general I love their products. Well made and well designed. The Rab Infinity Endurance Jacket is not available from the stores we monitor. It was last seen January 9, 2018	at Backcountry.com.